The Star Wars franchise has a long history of crossing over with other universe with hilarious results, and Phineas and Ferb: Star Wars is no exception. Following in the footsteps of The Muppets and Family Guy, the Phineas and Ferb team did their best to capture the feel of both Star Wars and Phineas and Ferb. And, I must say, they did a great job! The DVD hits shelves on November 11th. Unlike the Family Guy specials which recast the Star Wars characters as Family Guy characters (Peter as Han, Lois as Leia, etc. ), Phineas and Ferb: Star Wars chose simply to insert their characters into the Star Wars universe to have an adventure that occurred concurrently with the events of A New Hope. The story follows Tatooine natives and friends of Luke Skywalker Phineas and his step brother Ferb as they race to return the Death Star plans to R2-D2, who dropped them while roaming the dune sea. Along the way they get help from Isabella (who pilots a ship called Centennial Chihuahua) and Secret Rebel agent Perry the Platypus, as they battle against the evil Darthenshmirtz and the trio of stormtroopers made up of Candace, Buford and Baljeet (who are on a mission to buy a pair of socks for Darth Vader). That being said, there is also some good humor for older fans. Nothing inappropriate, it's just most kids likely won't get why it's funny. A stand out, older fan targeted joke occurs during the opening crawl when it's pointed out that none of this is canon so just relax. I particularly enjoyed this jab at the culture that sometimes exist within fandom where we want everything to be the next major chapter in the story and we can't just relax and enjoy stuff for what it is. 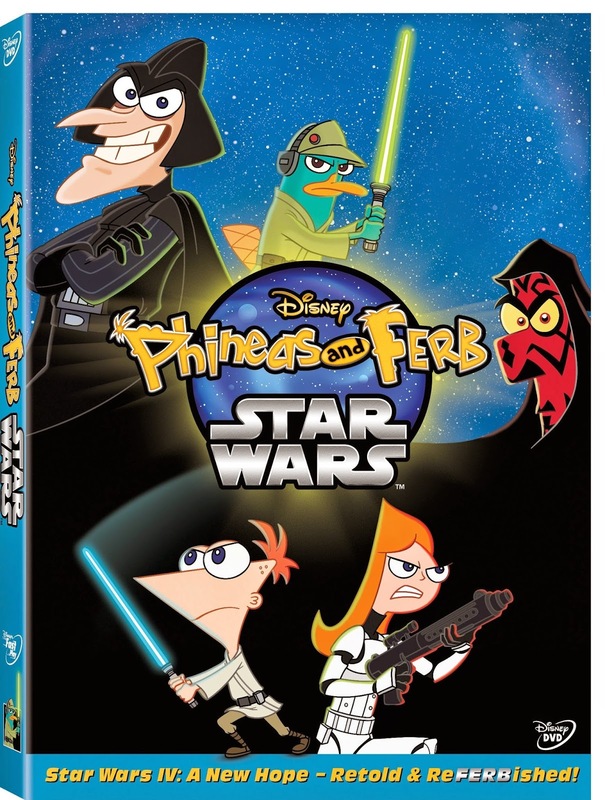 When it comes to bonus features, this release features several additional episodes of Phineas and Ferb, which is great if you, like me, enjoyed the Star Wars episode enough to want to see more of Phineas and Ferb. I would have, however, liked to have seen some behind the scenes bonus features as well, perhaps a short "making of" video or perhaps a commentary track from some of the people that worked on this. However, this release is definitely aimed at kids and as result, bonus features aimed at kids were included. 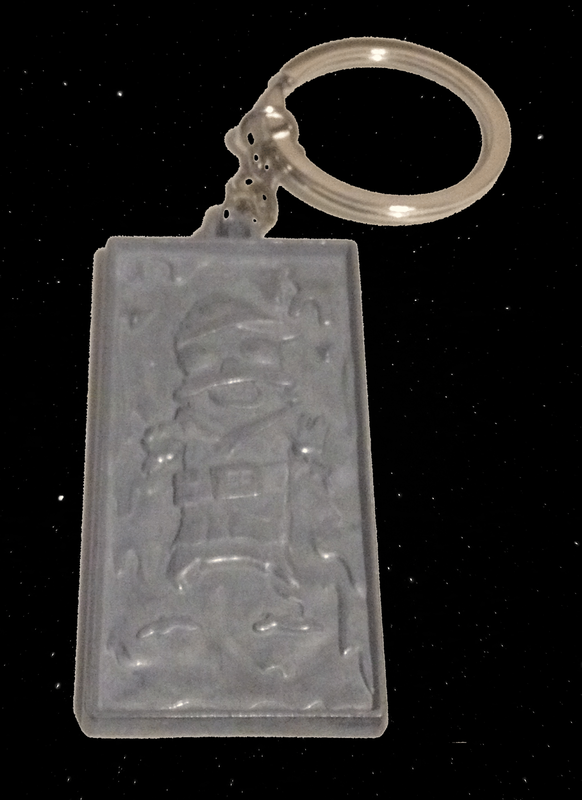 Also included with the DVD is a special Perry the Platypus in Carbonite key chain, that's pretty cool! I can definitely see this dangling from many backpacks on the school yard. Overall, this is a fun special that both kids and adults can enjoy. The team behind Phineas and Ferb did a great job of poking fun at Star Wars, without being disrespectful to its legacy. I would recommend this DVD to anyone who enjoys Star Wars comedy and, especially, to anyone with kids. Never watched Phineas and Ferb before this episode and even though I knew nothing of the characters I thought this was one of the funniest things I had watched in a while. I like the fact that they did not try and replace the Star Wars character, just ran parallel to the unfolding of ANH.